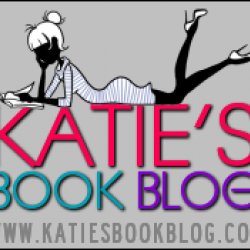 House of Secrets - Katie's Book Blog!! I'm not sure how House of Secrets, Chris Columbus and Ned Vizzini's first collabaration, compares to Ned Vizzini's young adult titles but I can assure you that after reading this one, I'll be checking out the rest very soon. 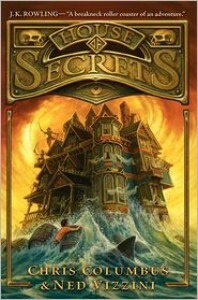 House of Secrets is the whole package; mystery, adventure, action, and suspense. I always find it a little difficult to review collaborative works but that isn't really going to be a problem with House of Secrets. House of Secrets doesn't read like a typical collaboration. The flow of the book is almost seamless. Readers will not be able to tell that more than one person is behind this work and that was a big plus for me. Also, while the writing is definitely geared more towards younger readers, it doesn't come across as immature or lacking in any way. Older readers (such as myself) can definitely still enjoy the writing in this one!The main characters are obviously the Walker children and I loved all three of them. Twelve-year-old Brendan, fifteen-year-old Cordelia, and eight-year-old Eleanor were clearly family but they were all such individuals. Brendan was the gamer, Cordelia was the reader, and Eleanor, well, let's just say, Eleanor was a little bit of everything. (Cordelia reminded me a lot of myself so I loved her!) I found all the siblings to be so much fun to read about. Brendan made me laugh, Cordelia was a piece of work sometimes but amazingly smart, and Eleanor was so cute. There were times I felt so bad for her but she never let anything get her down. Also, this being a middle grade story, there was more parental involvement than in YA and I loved Dr. and Mrs. Walker. They were great parents and it was so obvious they loved their kids. Otherwise they never would have put up with some of their stunts.As for the story, how can you go wrong with dark magic, a witch, skeleton pirates (as if regular pirates aren't cool enough?) and the amazing setting of a rather creepy old house full of secrets? The adventure in House of Secrets really captured me and wouldn't let me go. Also, like I said earlier, it is geared toward younger readers so it does read a lot quicker than YA or adult. It's almost 500 pages but I guarantee that once you start it, you'll finish it very quickly! Overall, House of Secrets really embodies everything I adore about middle grade novels. It's a fast read full of action and crazy adventures and readers will adore it. I can't wait to continue this series!